In the middle of cornfields lies the great city of Indianapolis. This city may not be everyone’s number one place to move to, but there are plenty of reasons why it should be! Wide Variety of Sports- This town is home to one of the top NFL teams in the league, the Indianapolis Colts, and Hoosiers are die-hard fans. Indy is also home to the Pacers. They may not have had the best record recently, but they have claimed nine division championships over the years. Another main sports attraction is the Indy 500 although this is mostly attended by tourists, so don’t worry if you aren’t into auto racing. 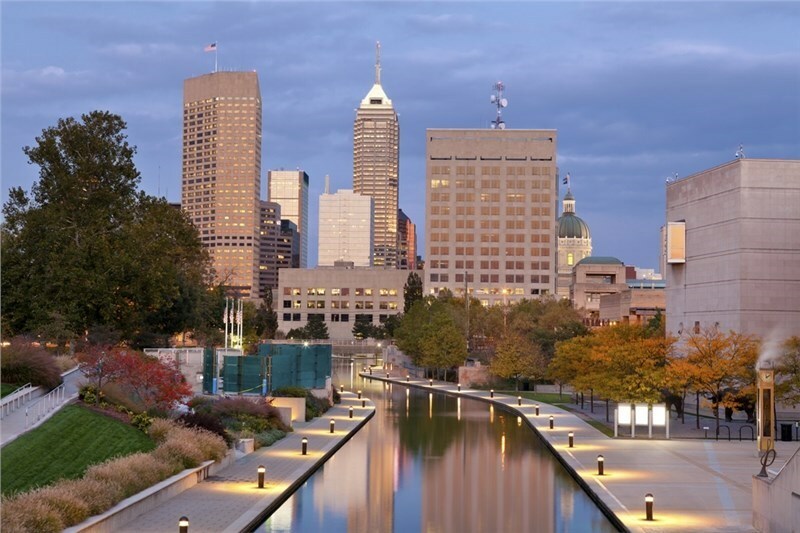 Plenty of Places to Eat- People may not think of delicious foods when they think of Indianapolis, but this Midwestern city is home to some amazing grub! St. Elmo’s Steakhouse (as seen in Parks and Recreation) has been dishing up steakhouse favorites since 1902. There are also a variety of restaurants to try, meat markets to shop, and subzero ice cream to be had. Large but Convenient- This city has all of the amenities of a city with some of the nice aspects of a smaller town. The traffic is much more manageable. There are plenty of jobs and places to go. Plus, the cost of living is much lower than most big cities. There is also a trail that winds its way through the city that makes bicycling and running around the city a breeze! Cultural Experiences- Despite being a smaller city, there are a surprising amount of cultural opportunities. Indy is home to many museums including The Indianapolis Museum of Art, The Children’s Museum and the Indiana State Museum. There are also a lot of places to hear live music, catch a show, or be immersed in a theatrical experience. Indianapolis may lie in the “fly-over states,” but you’ll miss out on a lot if you fly over this great place! If you are lucky enough to move here, we are ready to help you get there. Contact the professional movers at A. Arnold Relocation for more information about our Indianapolis residential moving services. Call or visit our website for your FREE quote!